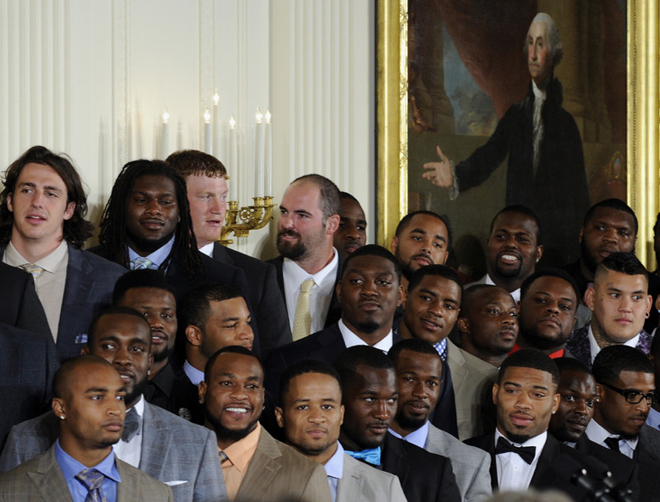 I recently had the opportunity to enjoy one of the more unique perks of being an NFL champion: visiting the White House, and being honored by the President of the United States. It was a very surreal experience, and one that I was glad to share with my teammates. On the plane going there, I had that same great feeling like I did when we flew out of New York after the Super Bowl win. It was that type of vibe, another one of those moments where you really start to realize that you’re the champions. It felt like a dream. One of the most fulfilling moments of the whole trip was getting off the plane, getting to the hotel and seeing Brandon Browner standing there, cheesing hard, along with Walter Thurmond, Chris Maragos, Golden Tate and the other guys that moved on this offseason. Those guys all played a crucial role in our success, so I just gave them big hugs and told them how much I appreciate them and miss them, and how I wish them the best. A lot of us were just talking about the Super Bowl and reminiscing. It was great to get a chance to do that. The White House itself is amazing, a palace-type environment with the big pillars and things like that. 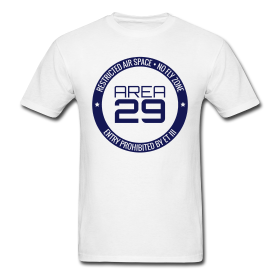 It’s a place fit for a king, and you might imagine, very well protected. When we walked in, they had us go through security and then we had to wait for a bit before the tour. There were only certain places where you could even take a picture. Me, Sherm and Russ were the only ones that got to take a picture in front of the White House because they had that kind of shut down. Pictures can’t really do justice to how big the place is. There were so many different rooms. As you walk the halls, you see all the presidents of the past. It’s just full of history. I think every president probably had one picture, but the one you see the most is Abraham Lincoln. You see the impact President Lincoln had on this country because he is all over the place. They had everything kind of laid out for us on this tour. It was very well organized. We had to rehearse. They made sure we were on point and everything was professional. Except when it came to pictures. 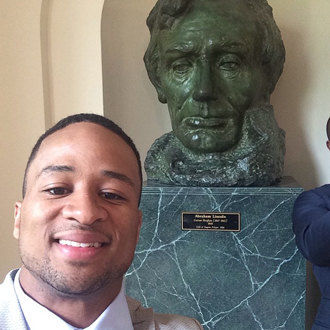 Everybody loves taking selfies, and a lot of guys had the idea to take one with the President. But before he came in, the security people specifically told us not to take selfies. They made it clear that we couldn’t take any pictures with him, and even had their own photographer to take pictures for us. But when they said they would get back with us to get the pictures in maybe four to six weeks, guys were not trying to hear that. They wanted their pictures right now. So the President came in — before we went out in front of the media — and guys were doing what Russell Okung did: shaking the President’s hand, taking a quick picture, and walking off. Everybody was just doing that. They didn’t listen to security. Instead, they were taking selfies. Just to see their faces and how they were doing it had me laughing so hard. It was just funny to me that they had enough nerve to still do it and just walk off. Sherm, Russ and I had a very unique experience at the White House. In addition to meeting the President, we got to meet the First Lady, Michelle Obama. The three of us filmed a commercial with her for the “Let’s Move” initiative. Meeting Michelle Obama was my greatest memory of that event because of the glow and confidence she had. There’s just something about her that’s very unique and special, and it kind of rubs off on you when you meet her. I also met a lot of politicians. One politician came up to me — I didn’t even know he was a politician at the time — and he just started telling me how much he appreciated me. We talked for a while, and he even started crying on me as we talked. He said how much he appreciated the way I play the game and how good a leader I am, my passion for the game and my humble heart. It meant a lot to hear that. I needed it before we went in to meet the President. It was a great feeling, that unseen energy I always talk about that you feed off of. Once the President got up to speak in front of the media, it was very cool to hear him speak about us. He kept on mentioning us in the backend of the defense, and that was great. Then at the end, when we were taking a picture, he even told Coach Carroll, “Get out of the way cause you’re blocking Earl Thomas.” That was a “Wow!” moment for me. The cameras were going, he’s talking to the media, and he’s still mindful and aware of little ol’ me. It definitely reassures me about what we did, and what that’s worth to people. You have to know your worth because you never know who’s watching. When you have a success like that, your platform keeps getting bigger. You’ve just got to be mindful of everything and keep going. Those are the moments where you realize you’re on that vertical path, and there’s clarity everywhere. I got kind of upset with the President at one point because he brought up San Francisco. I actually kind of blurted out, “Why would he even bring up the 49ers?” Coach Carroll looked back at me and snickered because he knows that’s the mentality I have. I really didn’t have a sense for President Obama’s personality before meeting him, but just hearing him talk, you can tell he’s very comfortable in his skin. He’s kind of sarcastic and funny, but keeps straight-faced when he’s being that way. He made a joke about our GM, John Schneider, asking why he didn’t bring his championship belt, and everybody busted out laughing. That was a great moment, too, because I started that whole thing, and was the first person John looked at when the President said that. That’s a unique thing that I know he’s never going to forget and I’m never going to forget. Those are just great memories we’ll always have from that season. The other thing about President Obama that impressed me is the stand he takes for African American culture. He’s not scared to speak on topics that some people are kind of scared to touch on. During his speech about our team, he even mentioned Russell Wilson being the second African American quarterback to win a Super Bowl, and Russell having highest winning percentage at home. People are kind of sensitive about those types of subjects and he definitely wasn’t. That stood out to me, and I appreciated it. The only reason for the President to mention the 49ers would be to mention the beat down they suffered at the hands of the Seahawks. Great insight and post, Earl! Thanks for sharing!! I’ve enjoyed rewatching clips of the Super Bowl and the NFC Championship game. I’ve been a diehard fan since 1983 and have long awaited what you all did last season. No one can take that away from the Seahawks. You made history and hope to build more!! Defense wins championships!! 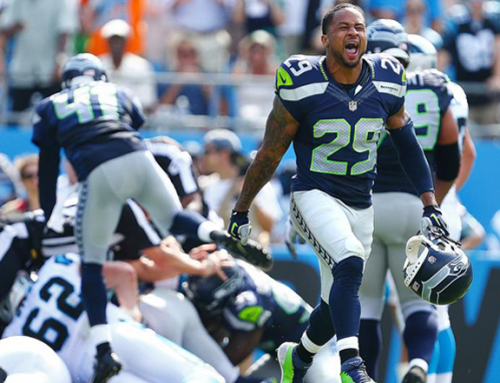 Go Legion of Boom! Go Hawks!! Aloha from Maui, Hawaii. Once again, nothing but heart. Earl’s posts are the most genuine, insightful, and honest open letters you will ever read. What bothered me about Obama’s comments was when he said the noise at the Clink was “kinda cheating”. Don’t insult the 12’s like that Mr. President!! We bring the noise and try and help or team win, there’s nothing wrong with that!! I always appriecate hearing from players. I can’t belieave how much we hear from our guys compared to years past Not sure if its just the modern age, but it’s great to see this, fresh files, real rob report, and even tate’s cyber eye footage :). Watching all of you at the White House gave me the same feeling all over again. 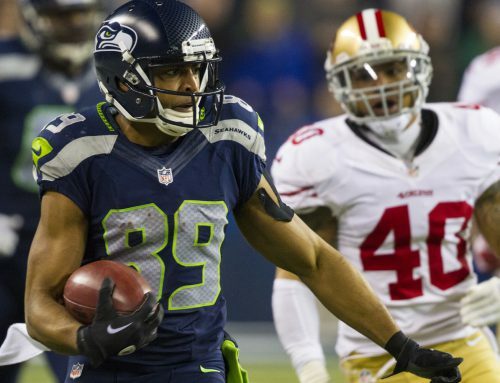 The night you won NFC West and beat 49rs, and then..THE SUPER BOWL!!!! I cried like a baby!! It takes awhile for it to all sink in. But seeing you all at the White House made me so proud. What an honor. You just can’t imagine the love we have for all of you! I believe the only part that really bothered me was when President Obama did not include Browners name in LOB!. That was sad for me. Wish he could come back. But we will always love and support him and the rest that have moved on. Thanks for the footage. God Bless and best of luck in your 2014-2015 season!! Go Hawks!! Great write up Earl, it’s really interesting to hear about what the White House visit was like, so thanks for sharing. Also, I’m so glad that the 409 is being represented by such an amazing role model. Keep up the great work, man. I know how much it ment for Seattle to see you all there we felt very much the pride of our hawks. I had the pleasure of meeting you Earl you signed my Jersey. 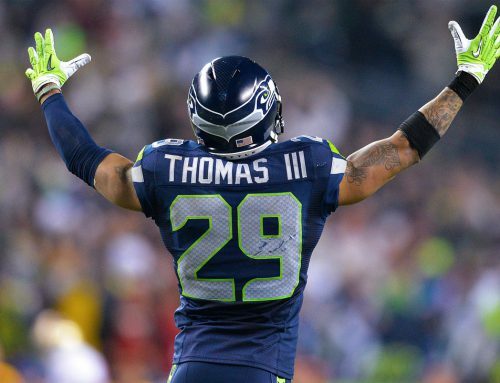 You seem very humble and I’m so glad you are going to continue to be a Seattle seahawk thank you and all our hawks for bringing Home the Lombardi trophy. Thanks for sharing the experience! Go Hawks! Earl glad I read this. Great post!! The politician you spoke to took words out of my mouth. Deserve all that praise & is the same reasons why I’m such big fan of yours too. Watched you since rookie year always focused buy shy & quiet to now a leader and a role model not just on the field. Very encouraging for a person like me. Now go & repeat. 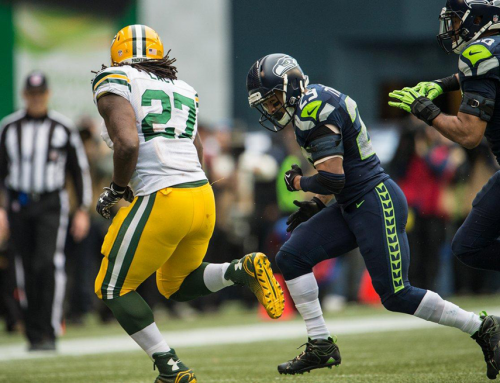 Best safety in the game. LOB! Go Hawks! 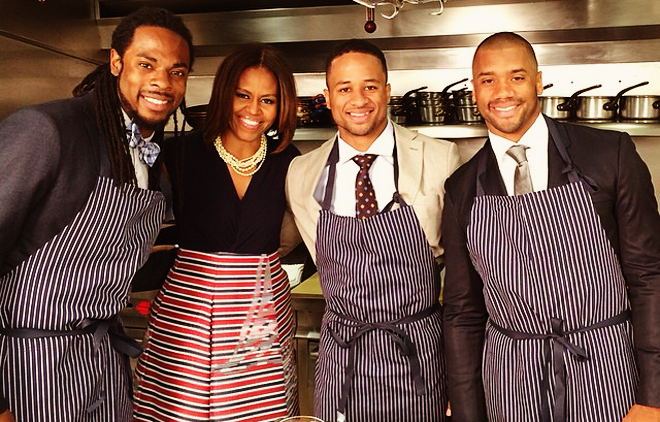 Good read….well written insight on a SuperBowl Champions visit to the white house. Good read. Thanks Earl. How awesome to share this. Loved reading it. It’s been such a fun off season and you all do such a phenomenal job in staying connected to the 12s. We appreciate you and cannot wait for the dynasty to continue. Go Hawks!!!!!!! Thanks so much for eloquently describing your White House visit. 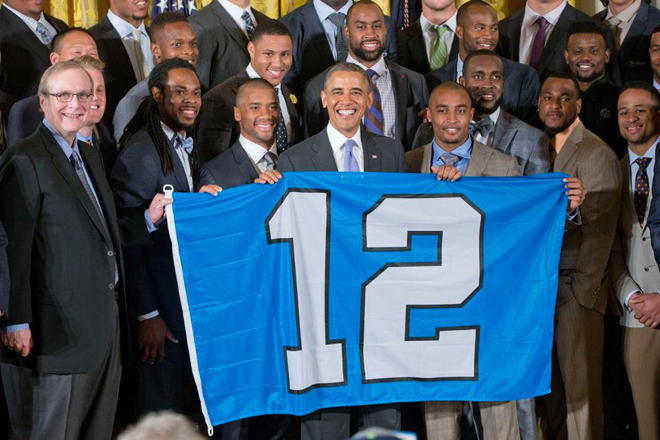 I was so proud to see my Super Bowl Champions Seattle Seahawks being honored by President Obama. 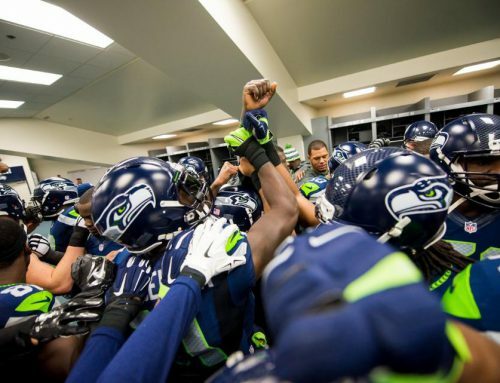 Love your blog & reading your perspective on being a Seattle Seahawk! Thank you for your hard work & determination! You have exceptional writing skills Earl Thomas. Keep it up, push it a little bit, just like your game on the field, but by all means keep writing. Good read. 15 years ago, when I was not much older than you are now Earl, I used to be a White House Military Social Aide during the latter years of the Clinton administration. In that role, I would participate in and run events such as the one you described. I was the ultimate professional. Running the events with supreme expertise while never once succumbing to the urge to praise or autograph seek the many, many celebrities and world politicians I encountered. If I still had that role today though, I know that this is the event that would have broken my professionalism. There is no way I could have resisted expressing my appreciation for what you guys have brought to the city of Seattle (with hopefully more to come). Also, I appreciate your and the team’s work ethic and am already using examples to educate my 6yo son about qualities it takes to be successful. Job well done, Earl. Very well said Joe. Ha! Much RESPECT to you ! Thanks Earl……love to hear about how things are from the inside, and you have a great perspective. Thanks for sharing this with us. Thank you, Earl- you are truly a class act…All the best to you! Great story Earl. There was a couple times I was not happy with the Presidents speech, one being not mentioning Browner with the LOB. That made me sad. I sure hope he knows how much we love and appreciate him still! But hey, a great honor. Our Hawks at the White House. You all looked very respectful and I was so proud!! Your the best Mr Thomas! SuperBowl Champion! !